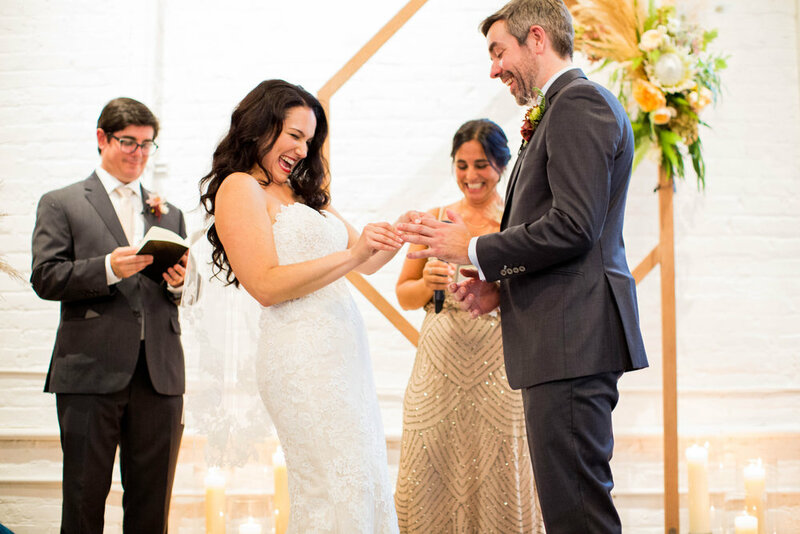 On September 1st 2018 April and Andy first saw each other at Grand Army Plaza in Brooklyn alongside their bridesmaids, groomsmen, and family (including their doggy!). All dressed up they gathered to have their photos taken and begin together what would become their wedding day. Once portraits had been taken everyone made their way to the Williamsburg venue, Marcy North. Marcy north provided a really cool gallery/ vintage loft space for both the ceremony and reception. Large scale sculptures and art by 5TH House , an ‘ever-evolving creative project’ by Deniz Kurtel, were exhibited throughout Marcy North. April and Andy had their friends who introduced them nine years ago (and are also married! ), officiate the ceremony. Thereafter the music was kicked up by Beat Train Productions and these two hit the dance floor with their guests not too far behind. The only thing steering people back to the downstairs space was the food (duh!). 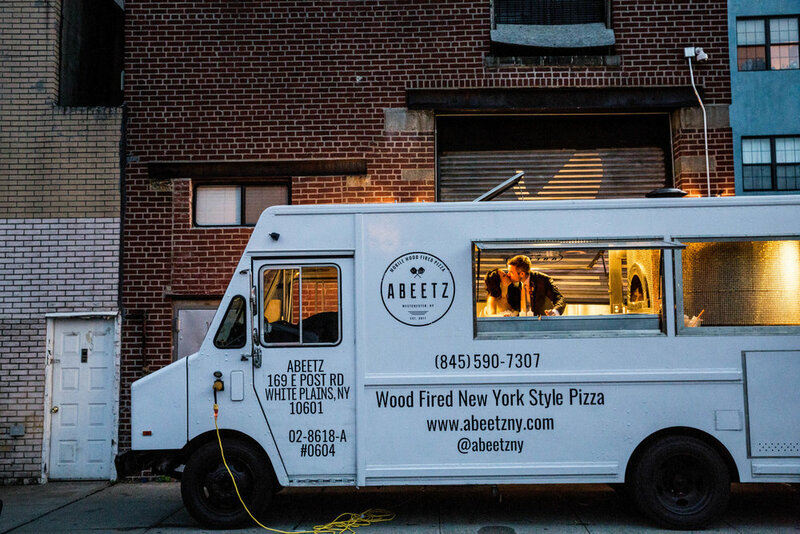 The Marcy North venue allowed for the Abeetz Pizza Truck to pull right up and flip custom individual pies for each and every guest. Once the cake had been cut it did not take April and Andy long to get back to tear up the dance floor once again and dance joyfully all night as Husband and Wife. Special thanks to the amazing work of Events By Mona Lisa for coordinating all the fabulous details and keeping everyone in sync!